The National Information Technology Agency (NITA), the regulator of electronic transactions, says its operations are being crippled by the GH¢13 million owed it the Ministries, Departments and Agencies (MDAs) and some district assemblies. The Agency is also facing challenges with frequent optical fibre cuts and battery theft at its cell sites, which are also undermining its commitment to deliver efficient internet services to its subscribers. 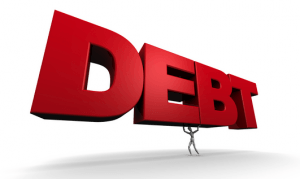 The Communications Minister, Mrs Ursula Owusu-Ekuful, expressing concern about the situation, on Monday, therefore, urged the debtors to pay up from their annual budgetary allocations in order to receive improved services from NITA. “No self-respecting organisation can function effectively in the modern workplace without access to the Internet,” she said at the launch of the Stakeholders’ Forum for the Information and Communication Technology (ICT) industry, organised by NITA in Accra. “Most of you pay promptly for the services you procure from private internet service providers; Do same for NITA,” the Minister advised. The meeting brought together heads of the various government institutions, academia, the private sector, development partners and civil society organisations to deliberate matters of common interest related to the electronic industry. Thus, it provided a platform for the dissemination of information on the progress made on the ICT infrastructure and engaged stakeholders on the Government’s policy direction. The move is to ensure the full implementation of the National Information Technology Agency Act, Act 771, 2008 and the Electronic Transactions Act 772. Mrs Owusu-Ekuful said the Government was drafting the necessary regulations to give effect to the two Acts, considering the increased digitisation of government services and to ensure that NITA delivered its mandate efficiently. The Communications Ministry is also working with the Board of NITA to restructure and strengthen its operations in order to reduce the duplication and waste, which characterise the procurement of ICT services in government institutions. Following the completion of the restructuring process, the Minister said: “NITA will define the minimum Information Technology (IT) standards every MDA must comply with and set up the compliance mechanisms. The Ministry is also working with the Finance Ministry, Public Procurement Authority and the Auditor-General to enforce those regulations. Until the capacity of the National Data Centre was used up, no MDA would set up its own data centre, Mrs Owusu-Ekuful said, explaining, “There is plenty of space to house any server you need and it can secure our data better than you are currently doing”. The Government, she said, would soon undertake an IT systems audit to enable NITA to ascertain the level of resources in the country. This would lead to appropriate recommendations for upgrades, replacement or for better usage, she said, and urged all stakeholders to cooperate with the audit team to ensure a successful exercise. Mr David Gyewu, the acting Director- General of NITA, explaining the effects of the fibre cuts, called for collective efforts of all stakeholders to curb the menace. The phenomenon slowed down internet connectivity and impacted negatively on delivery of public services, he warned. He said due to the indebtedness of the MDAs and assemblies, the Agency could not pay some of its service providers abroad. It also owes some local utility companies a total of GH¢80 million.